A carbon tax is a fee placed on the consumption of carbon-based fuels, such as oil, gas, or coal. Users of carbon fuels are forced to pay for the number of greenhouse gases they release through their activities under this type of policy. It is an upstream tax when using the existing tax collection mechanisms of most governments. When the fuels are extracted and placed into commerce streams, or imported for use, the fee is paid. The issue with a carbon tax is that the producers and processors are permitted to pass the cost of the tax along to the consumers to the extent their local market allows. Only a handful of countries currently have a carbon tax implemented, although most industrialized nations do have one. The provincial carbon tax in British Columbia, Canada is considered one of the most comprehensive and thorough in the world today. The United States does not have a state-based or national carbon tax as of December 2018. Here are the advantages and disadvantages of a carbon tax to evaluate. 1. A carbon tax is paid for by the people who use the fuel. You can get out of a carbon tax by switching to renewable or alternative fuels for your consumption needs. Although that is easier said than done for some communities, the goal of this tax is to eventually reduce the amount of pollution being expelled to the atmosphere while using the money to develop clean-fuel technologies. 2. A carbon tax can have a positive effect on the local economy. The first carbon tax implemented by British Columbia went into effect in 2008. It would be the first broad-based carbon tax in North America. Between 2007-2015, real GDP growth in the province was 17%, while the net carbon emissions experienced in the region declined by 4.7%. Under the structure of the tax, about 70% of total greenhouse emissions were covered by the use or purchase of fuels. 3. Revenue increases occur with the implementation of a carbon tax. When the Congressional Budget Office looked at a possible carbon tax in 2011, they calculated that it would raise $120 billion in additional revenues each year. That’s a lot of money which could be funneled into the development of renewable energy technologies. British Columbia implemented a change to their carbon tax in April 2018. The rate is $35 per ton of carbon dioxide equivalent emissions, complemented by a Climate Action Tax Credit of $135 per adult and $40 per child. In return, an increase of 7.78 cents per liter in fuel costs occurred with the introductory tax rate. Diesel and natural gas prices rose with the carbon tax too. 4. It encourages the development of alternative energy resources. Firms, consumers, and families are all encouraged to find more efficient ways to use energy through the motivation of avoiding the carbon tax. To avoid fuel costs, some people may walk to work or take their bicycle. Commuters might look at electric vehicles to avoid fuel surcharges. Instead of paying for carbon-based electricity, families could speak to their utility company about wind or solar energy options. It is true that a carbon tax does ask people to make lifestyle changes or pay more if they refuse. This decision happens because the long-term health of the planet is at stake. We could sacrifice a little now, or a lot more later on. 5. A carbon tax could provide double dividends. 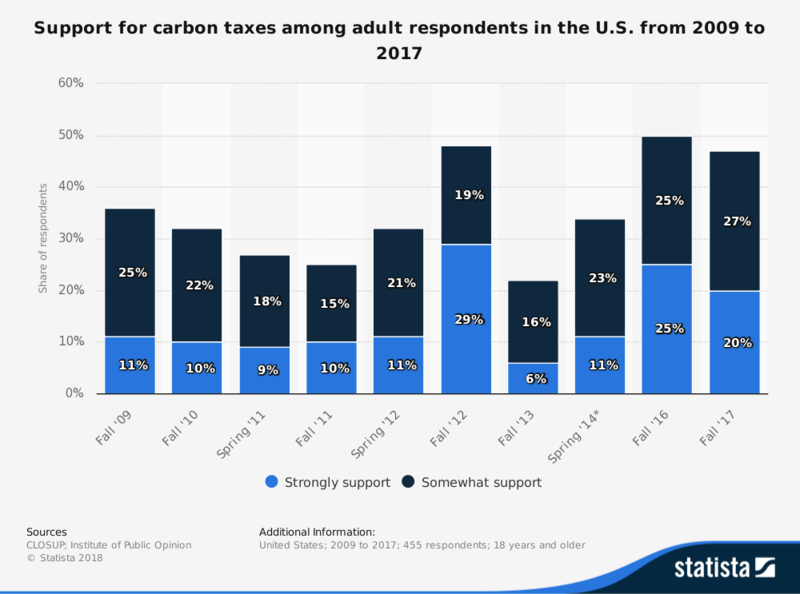 Proponents support the idea of a carbon tax because it offers two potential benefits: a return to households in the form of a tax credit, and access to cheaper, more efficient renewable energy solutions. A third benefit, the reduction of carbon dioxide in the atmosphere, is also possible with this structure. More jobs, better educational opportunities, a stronger infrastructure, and more availability for public goods are all possible when the benefits of a carbon tax start working together. 1. Almost everyone uses carbon-based fuels exclusively. The problem with a carbon tax is that almost no one uses any form of renewable energy on a regular basis. Most supplies are either provided by or supplemented by carbon-based fuels. Whether you choose to fill-up at the fuel station or you turn the heat on in your home, there’s a good chance you’ll be consuming carbon-based fuel. That means you’re going to be paying the taxes on the carbon because the costs were passed along to you. The 2018 proposal for a carbon tax in Washington State that failed to receive voter approval would have raised the average cost of goods sold for consumers by over $400. 2. It shifts manufacturing production to non-tax nations. As of 2017, there were 65 jurisdictions, representing about 15% of the greenhouse gas production on the planet, which placed a tax on carbon. That means 85% of the emissions are not being taxed. When a jurisdiction decides to implement a new tax, the first thing a company does is to look at alternative locations and solutions. Many businesses may discover that it is cheaper to do business somewhere a carbon tax is not yet implemented, which shifts jobs and resources away from the local economy. 3. There is no set “price” that shifts the burden to the producers. By 2022, residents in Ottawa will be paying more than $1,000 extra each year to comply with the carbon tax laws which were implemented throughout Canada. Even though proponents of this method of controlling greenhouse gases often say that only the largest polluters are targeted, it is always the end consumer who pays the final cost. Purchasing gasoline for your car, turning on your furnace, and other daily activities all take on a majority of the tax. Is the average consumer the biggest consumer of carbon fuels in the world today? 4. It creates an artificial market to generate loopholes. Some carbon tax structures are based on an ETS – emissions trading system. Carbon taxes often apply when a triggering threshold is reached due to extraction, manufacturing, or production activities. Each company is offered an allowance by the governing authority for the carbon emissions they produce. If an organization doesn’t reach their threshold, some tax plans allow the extra amount to be sold to a large polluter, thus reducing their overall tax obligations. That doesn’t stop the responsibility of the consumer to pay the tax, however, which means businesses come out ahead, and families get left behind. 5. There is an administration cost to consider. Even though a carbon tax offers the potential of billions in new dollars (or local currency) each year, it will cost millions to collect it. The overall goal of a carbon tax is more about meeting targeted greenhouse gas emission goals or punishing those who use too much of the fuel rather than raise funds. When the costs of competing with imports are included in these collection costs, some of the positive effects are entirely negated. Cement imports from the U.S. and China grew from 5% to 40% as the carbon tax in British Columbia continued rising. At the same time, the Canadian mining company Teck stated it was paying C$50 million in carbon taxes each year while losing market shares because of the prices they were forced to charge. 6. It takes time for businesses and consumers to approve of the tax. In 2009, 47% of provincial residents said that they opposed the carbon tax. Even with price increases, that figure dropped to 32% by 2016. With anticipated increases coming, the dissatisfaction rates may start rising once again. 7. There is no guarantee that a carbon tax will be useful. When demand is not elastic in a market for carbon-based fuels, then the tax rate for the carbon emissions must be extremely high. It is the cost of the product which reduces demands. 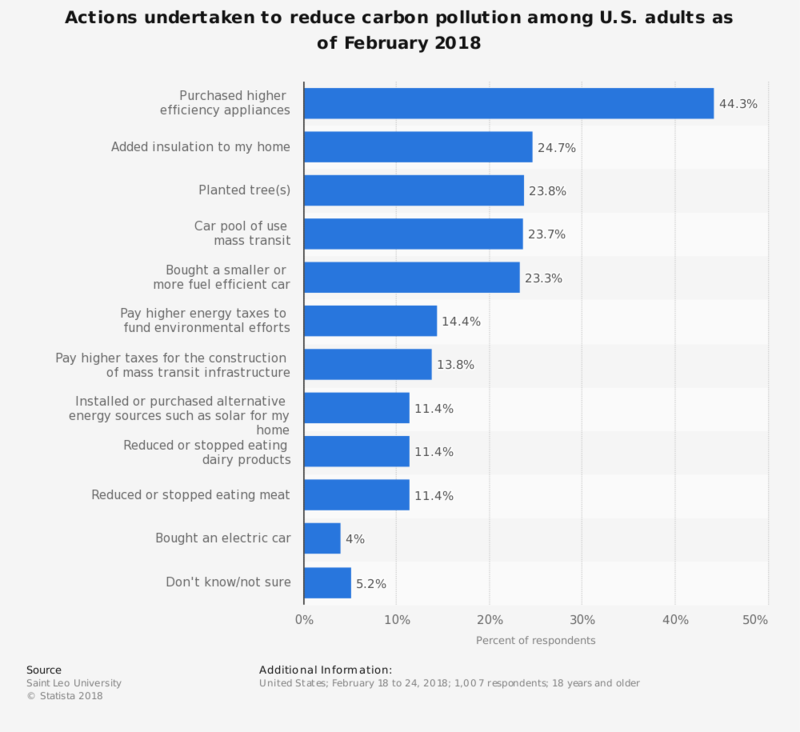 If consumers feel that the benefits of purchasing carbon outweigh the negatives of doing so, then the government will make more while greenhouse emissions also rise. British Columbia is already off-the-pace in meeting its reduction goals for this very reason – and the province currently has the strictest carbon tax in the world. 8. It turns stockpiled carbon fuel assets into something worthless. Estimates suggest that the United States has stockpiled enough coal already to supply 400 years of energy production at current levels. Oil and natural gas stockpiles are increasing too. There is a value to these resources right now because they are not being taxed. If the carbon tax is high enough, those fuels will continue to sit, degrading until the point they cannot be used, while alternative fuels are considered. Renewables are a technology, so this disadvantage will eventually happen, but it will generate a societal cost which must be paid. 9. Distribution scenarios could lead to unwise population growth. Republicans proposed to change the distribution methods of a carbon tax by offering households a tax credit instead of giving money to renewable energy producers. One idea suggested a $500 credit per person, so a family of six would receive a $3,000 credit on their taxes. With more on the table in later years, the structure of a carbon tax could stimulate population growth, which would naturally increase carbon consumption over time. For a carbon tax to be effective, it must limit use instead of encouraging it. The pros and cons of a carbon tax look at the reality of what occurs with this policy compared to its modeling. When consumers are asked to pay more without holding businesses responsible for their involvement, then this idea struggles to gain traction. Voters have stopped two carbon tax initiatives since 2010 in Washington State for this very reason. With better structuring, fewer loopholes, and meaningful accountability, a carbon tax could be useful. Without those elements, this policy becomes another sales tax opportunity.